More info:Single supplement from $1735 - $2230. Offers:Up to US $790 off selected dates. 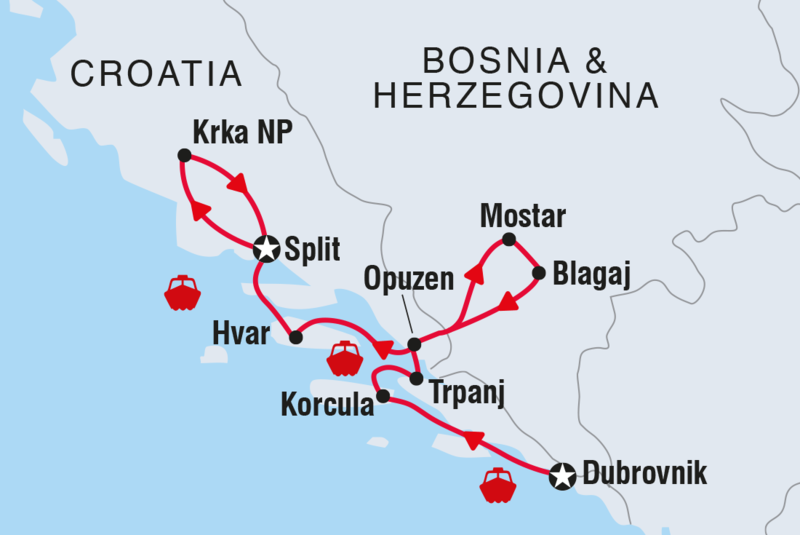 This is a small ship adventure cruise, on the Royal Eleganza, which is staffed completely by local Croatian crew. Some meals will be taken on-board using local produce, which the chef purchases at local morning markets. Other meals will be taken shore side, with passengers encouraged to support little local cafés and restaurants. Unlike other ships that cruise through the night, we’ll spend our evenings docked at port. This will offers more time to dine ashore and enjoy those balmy Croatian evenings and provide the opportunity to enjoy a local experience. These journeys are designed to be low impact. That means there’s fewer passengers on-board, less stress on local communities, and each trip is carbon offset through a range of renewable energy projects. And while the big boats moor out at sea and ferry passengers to land by tender, we can sail straight into port. You can hop on or hop off as you like. Its convenience and comfort, all in one. That’s why, this small group cruise has a maximum of 31 likeminded travelers. There are many opportunities for passengers to interact with the local crew. For instance, our chef will offer a cooking demonstration of local dishes to those on board. Our Group Leader will help to teach the group a few words of the local language, which can then be practised on people during shore side activities too. This tour actively encourages guests to chat with local people, visit local cafes and bars, purchase local produce, gifts and crafts and discover what life is really like in Croatia.